Mamma Mia returns for an origins story all about Sophie’s mother, Donna with more ABBA songs, that wonderful cast and a mystery on where Donna is now. And Cher. In a change to the advertised programme, we have a trailer preview as part of my Cinema Shame list replacing the often reviewed Leonardo Di Caprio and Michael Caine. I can promise their joint venture, Inception (2010) will be reviewed in time. And it will be a brilliant masterpiece of a review that will challenge every thought you ever had when you saw this movie. And not a full tilt gitter on how lovely Leonardo DiCaprio is, or how marvellous Michael Caine is. But these attributes will be mentioned. Probably. So the first of my Cinema Shame posts was found as I was skimming through the upcoming trailers for 2018. The film preview reviewed today is Mamma Mia Here We Go Again (2018) and the Mamma Mia (2008) sequel. Which kinda fits in with the Best Picture prompt for this month at Cinema Shame. In that Meryl Streep is listed as a cast member and she starred in an Oscar Winning Best Picture, Kramer vs Kramer (1979) and it’s reviewed HERE. This film has the most honest name for a sequel ever namely.. Mamma Mia 2 : Here We Go Again (2018). The title sums up exactly what I felt on seeing this film trailer. And how I feel reading about most origin stories. As this origins story was flashbacked about to fun effect in the 2008 original, so I for one don’t care. A bit like how I feel about that upcoming Hans Solo origin story. And I’m sure most of the Star Wars equivalent of Trekkies feel about it… and that’s even if these new much talked about refilmed scenes have a computer generated young Harrison Ford and is voiced by Harrison Ford himself. Sophie has invited 3 of her mother’s old flames to her wedding..but which one will be revealed as Sophie’s father. Mamma Mia 2 starts with Sophie (Amanda Seyfried) telling us she’s pregnant and alone. And telling this to her mothers BFFs, Tanya (Christine Baranski) and Rosie (Julie Walters) who visit by boat. All reminisce about Sophie’s mother Donna (Meryl Streep) in the past tense with flashbacks from the first film. Creepily all the cast have the same haircuts as they had in the first film, but to be fair Julie Walters looks blonder (and more of that gripe later). Leading to uproar from the Mamma Mia fan base as all unsundry online assume Donna is dead, and not run off with another man who played Bond. Which may have happened if Daniel Craig was hanging out in Kalokairi while Donna was shacked up with Sam (Pierce Brosnan). Especially if he came out the sea in those wee swimming trunks in that James Bond movie.. And this uproar reminded me of when a character was killed off in Mad About the Boy (2013).. click here for a not so secret spoiler. Ironically this character played in film by one of Sophie’s three dads. And no Mamma Mia isn’t a musical version of the much hinted at film, completing the triology of 3 Men and a…. baby / little lady etc. Anyway we then get by flashback, Donna’s story – the first film which I reviewed as a guilty pleasure HERE – with photogenic younger actors and those familiar oldies. And it seems, as a young girl, she bought her only non ABBA related tribute clothes that she owns. Those infernal dungarees that she owned like forever ie the 10 years after sequel / first movie. With a plummy Englishman as Pierce Sam (sadly with no dulcet Irish accent) and a Matt Smith lookalike as Colin Firth’s Harry (is this a hint for the older Duke of Edinburgh casting in The Crown (2016).) And a Swedish looking actor as Stellan Skarsgard’s Bill who doesn’t speak, is interchangeable with Colin and probably sounds like the Swedish Chef from The Muppet Show (1976-81). But maybe I shouldn’t judge til he talks, Gerard Butler’s Irish accent still haunts me. These lovely young things intercut with shots of the oldies so as you remember who played who as its 10 years – yes, did they really have to make this movie? – since the original. And all have the same haircuts and dress similarly, both then and now to make it easier for us to remember who is who. Gripe over. Donna’s mother and Sophie’s grandmother, Ruby Sheridan appears totally eclipsing upstaging Dominic Cooper’s return as Sky. As she also arrives by helicopter (as all movie grannies do, but usually in Irwin Allen movies). Played by a blonde Cher. At which time I sob uncontrollably, remembering Cher more fondly in The Witches of Eastwick (1987) and the rest of the cast in much better things. But on the bright side, looking at the cast on Imdb, Meryl Streep is mentioned. And she doesn’t sign up for duds (that often). And we can safely deduce unless in she’s in flashback, she is alive. A nation cheers. I also spotted Andy Garcia appears in this prequel too as Fernando. Fernando is not surprisingly an ABBA song, and a ballad and is sung by Cher in this movie. And possibly for a wee spoiler on the character, should I just check out those lyrics…? And hope it’s not going to lead us to a prequel of a prequel of a sequel. 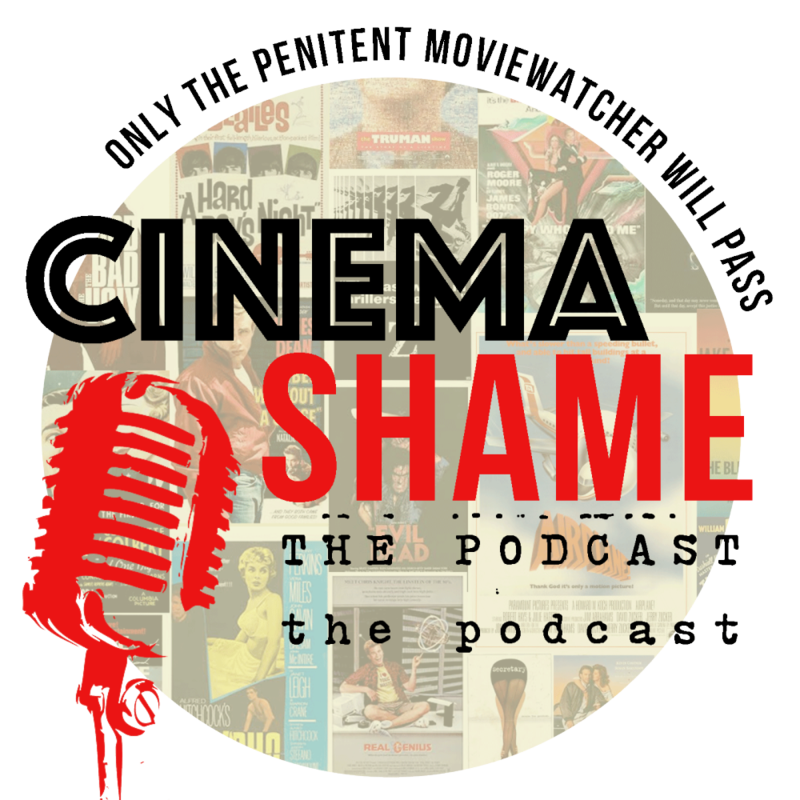 This post is the first of eleven posts for the Cinema Shame collaboration with my other films listed here. In this collaboration Cinema Shame asks you to list your chosen movies you vow to watch in 2018. Other films with this cast include Mamma Mia. Peter Skarsgard appears in my Thor review. Colin Firth in Bridget Jones Baby and Tinker Tailor Soldier Spy. Pierce Brosnan in 5 Singing Film Actors and Mars Attacks posts. Meryl Streep appears in Kramer vs Kramer and Heartburn. Julie Walters in One Chance and Dominic Cooper in Starter for 10. Amanda Seyfried stars in A Million Ways to Die in the West. That’s a review in itself, cut, paste, add a pic and publish. LOL, pretty much. They make it so easy for us. Be interested to see how many likes, views and comments you get – go for it!